The Abyssinia™ is an inspiring tool for the working musician. 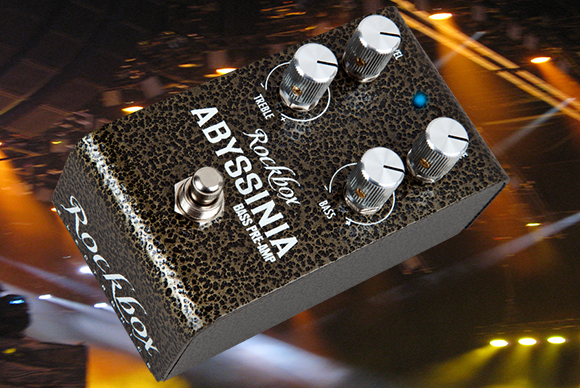 Capable of everything from a huge clean boost to a smooth overdrive sound, the Abyssinia can be dialed in for just the right sound for your rig. The Abyssinia™ features an active boost and cut tone section, allowing precise tone-shaping to achieve your sound. When you want the Abyssinia out of the mix, a silent, true-bypass switch allows your signal to be passed directly from input to output.